It doesn’t come as regularly as the annual migration of wild birds. And you certainly can’t predict when it comes by looking at a calendar. But capital has a migration cycle, too – and we’re witnessing it now in the currency markets. 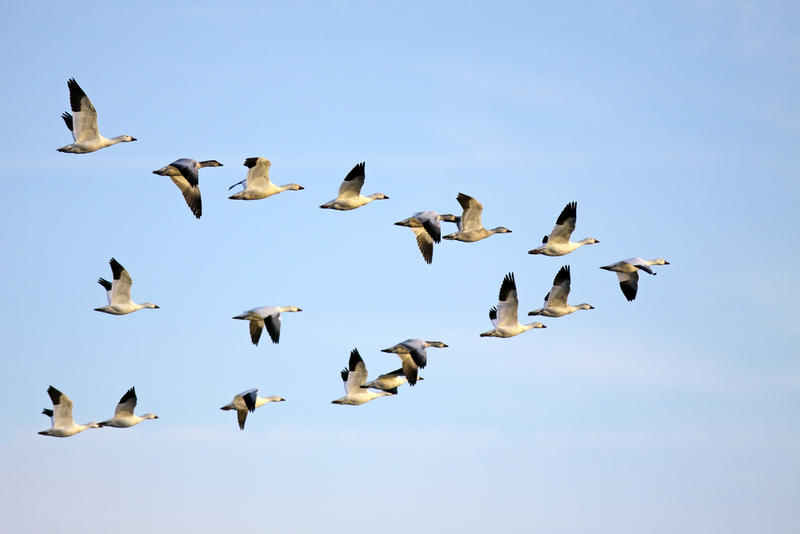 The difference is, where birds migrate seeking warmer weather in the winter, and a place they can build their nests in the summer, capital migrates when economic seasons change from one of perceived security to one of perceived danger. When owners and managers of capital detect foul weather gathering on the horizon, they pull in their horns, sell off whatever positions they can’t or won’t hedge, and take their money and run. And where do they run to? The troubled South American country, which was only recently rattling its sabre hungrily at the Falkland Islands again, has been in the global credit doghouse for years. What caused the stampede to the high ground? Some say it was a reported slowdown in Chinese manufacturing. Some say it was sparked by disappointing earnings reports here in the United States. But in truth, capitalists don’t need a reason at all. We are still scratching our heads trying to figure out Black Monday, a 25-percent stock market correction in a single day in 1987, here in the United States. Meanwhile, though, there is little doubt that the time was ripe for a general movement to a “risk-off” strategy. Long-term bond yields can’t get much lower – and the risk in them can’t get much higher. The U.S. equity market – the favored playground of institutional money managers seeking risk exposure with big money has kicked the Dow up around record highs, despite continued anemic growth. Who took it on the chin? Well, Argentina, of course. Argentina always takes it on the chin. This time around, the Argentine peso got dragged around the back of the barn and shot. It collapsed 17 percent in a single day. When the currency bears go out to round up the usual suspects, a la Casablanca, Argentina is almost always first on the list, thanks to a longstanding intransigence with sovereign debt and a demonstrated willingness to stick it to creditors by slashing their own currency. The current populist government, headed by Christina Fernandez de Kirchener, has been less than confidence-inspiring in recent years. (She has recently been sidelined from public view due to surgery in October to relieve a blood clot near her brain). Meanwhile, Kirchener has appointed a Marxist-leaning economic minister, Axel Kicillof, who seeks to tighten central government controls, and who himself led the nationalization of a large oil company, YPF. Furthermore, Argentina earned itself a censure from the International Monetary Fund – for fudging economic statistics. Overall, the country’s inept leadership under Kirchener has jeopardized access to credit from the IMF. This would be a serious blow, since it’s nearly the only safety valve the country has left. It was cut off from borrowing via normal channels after it defaulted on $95 billion in 2001. Furthermore, Argentina’s cash-starved, investment-poor government recently undertook a massive seizure of $30 billion in private retirement assets. Put all these factors together and that’s hardly a formula that would encourage further foreign investment. And indeed, Argentina has been bleeding currency reserves for some time. Likewise, the Turkish lira has been dropping faster than a flightless bird from a WKRP helicopter. The country has gone through a long easing cycle looking to boost growth – and would have gotten away with it, too, if it weren’t for those pesky corrupt politicians causing a graft scandal and drawing negative attention to the country and those skittish, neurotic bond traders! Turkey’s bold, decisive reaction to the growing public awareness of a graft scandal that threatens to topple their government? Suppress a popular game show. Well, to their central bank’s credit, they went ahead and nuked the problem from orbit, raising their overnight rate, from 7.75 percent to 12 percent in an instant, in an effort to defend the lira and stem the hemorrhage of capital. Just be glad you didn’t buy a house in Turkey with an adjustable rate mortgage. Other struggling currencies include the Russian Ruble, down to a five-year low against the dollar and a record low against the euro. Brazil is also struggling against the end of the commodity boom that had fueled Latin American growth until recently – and kept the Argentinian and Venezuelan economies alive in the biggest illusion since Weekend at Bernie’s. One of the many contributors to the global flight to safety we are now witnessing is the expected return to rationality – or retreat from insanity – due to come from the Federal Reserve. The ‘tapering’ policy represents a gradual unwinding of low interest rate, weak-dollar policy. If the Federal Reserve can establish credibility in confronting long-term inflationary pressures in the United States, the dollar may become that much more attractive for investors who were previously stretching to international and emerging markets for a few extra basis points of yield. Thus far, the Fed has sent a strong signal that nothing will deter it from proceeding with its planned reduction in bond purchasing on schedule.